Linking neighborhoods throughout the southern districts of Minneapolis, a former rail right-of-way has been transformed into a major recreational greenway much beloved by residents and workers. Along the Midtown Greenway, new development has been springing up since the construction of phase one in 2000. The corridor serves as a vital link connecting transit nodes, jobs, open spaces, and other amenities. 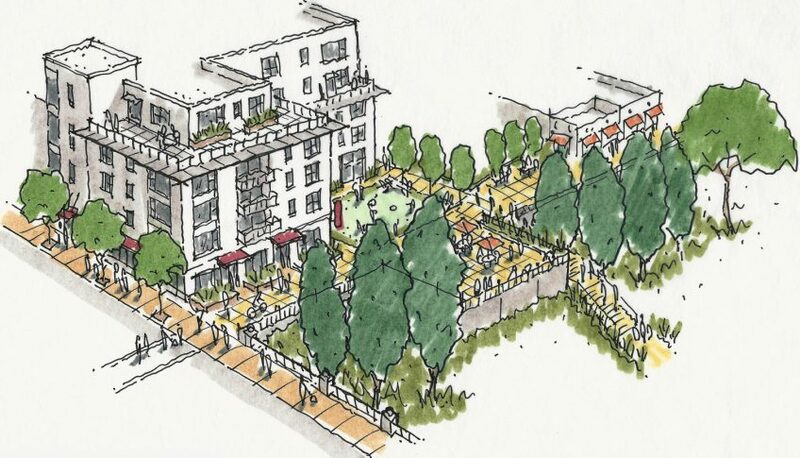 The LynLake district has especially transformed during this time with the rise of several mixed-use housing developments fronting the greenway. 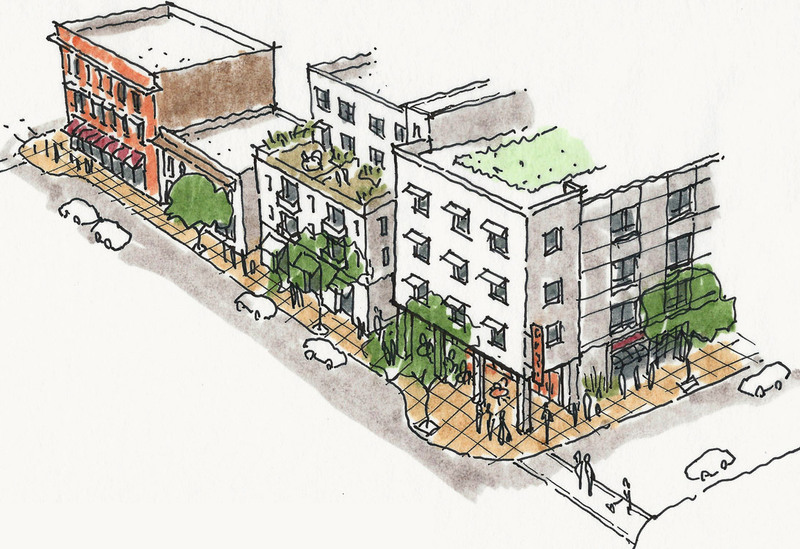 With its address on the greenway, the study site exhibits strong potential for a mixed-use redevelopment. 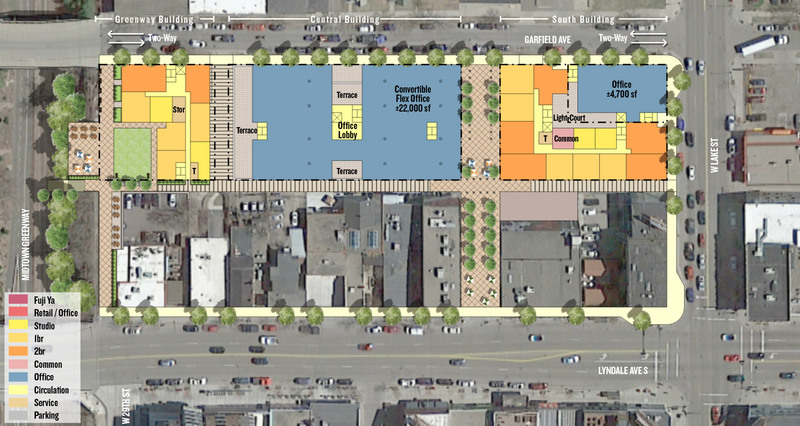 Today the site occupies half a block behind neatly arranged shops and restaurants along the Lyndale Avenue corridor. 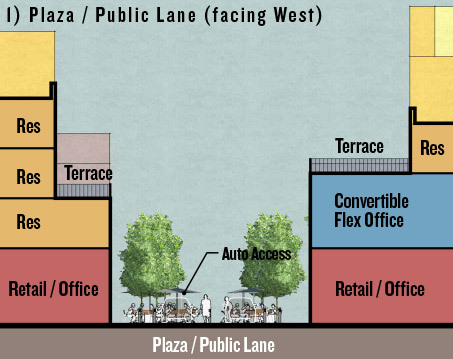 It comprises a surface parking lot with one restaurant to be incorporated into the new development concept. Together with Lander Group, VMWP has generated multiple initial design concepts incorporating ground-floor retail, offices, and housing above. 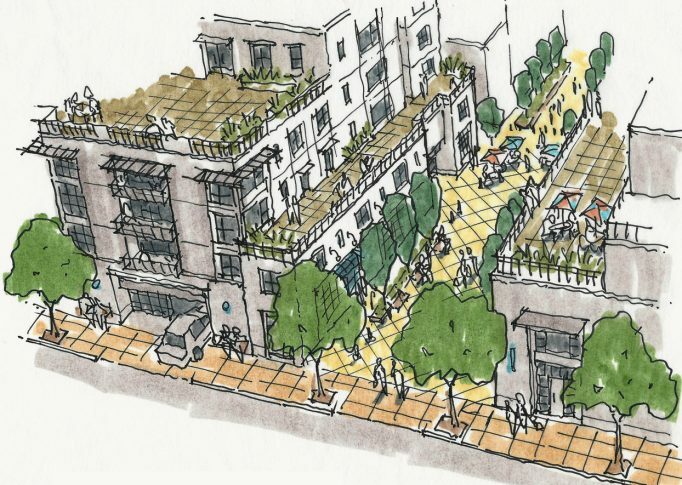 These mixed-uses would share one connected sub-grade parking podium with general public parking on the ground floor. 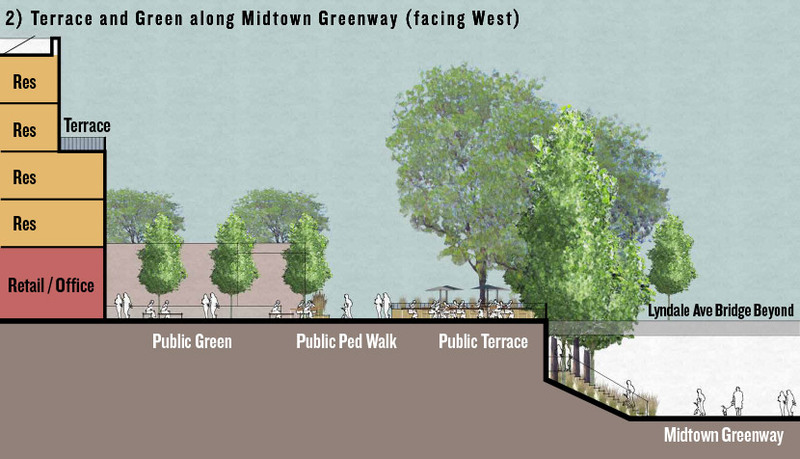 Special attention was given to public-realm placemaking with a mid-block pedestrian lane and plaza terrace overlooking the greenway.